TDM desert we started off well getting up to leads of 25 at one point but their nades were very good but their attitude stunk, they seemed more focused on insulting us than playing, So us shutting up and playing took the win. TOSOK desert we started off well and kept a consistant 5 point lead throughout the game. 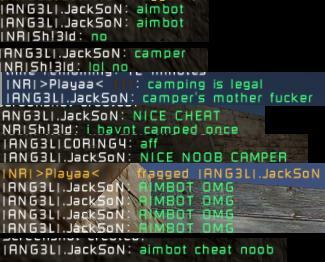 Then the camping came, I have too say they were good campers. We received mass abuse in this game here are some screenshots from the first 3 minutes.